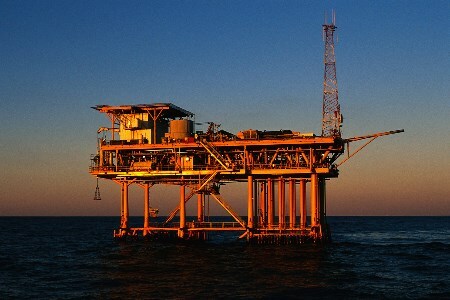 Bell Flow Systems were recently approached about a seawater pumping application for an offshore oil rig. The customer required a highly accurate meter to fit onto an existing 3 in. line, which would be suitable for operation in an ATEX zone 1 hazardous area, and also capable of withstanding the harsh conditions that come with being offshore. In addition to this, the meter was required to come with a UKAS accredited calibration and EN 10204 material certification. Due to the high quality build and robust nature, the Siemens Sitrans MAG 3100 electromagnetic flow sensor combined with an ATEX 18-30V DC MAG 6000 display, was naturally a perfect match for the application. The Siemens Sitrans MAG meters have a large variety of liners to suit almost any medium, as well as a choice of 316 steel, hastalloy, platinum or titanium electrode materials and grounding electrodes as standard. To strengthen the resistance to the harsh offshore environment, the meter body was also coated in a special wear and fire resistant paint, which conforms to a Norsok M-501 system 1 Spec. The benefit of the using the Norsok M-501 is to ensure optimal protection of the installation with minimum need for maintenance. With an accuracy of +/-0.2% and ATEX approval, the MAG 3100 meter was an ideal choice for the precise measurement that the client required.